004sp 19 Letters Home Quilt CLASS CANCELLED!! Do you remember receiving a special card or invitation from a friend or relative? Recreate that special feeling when you create an heirloom quilt to mark milestones such as weddings, anniversaries, graduation, or other special life events. 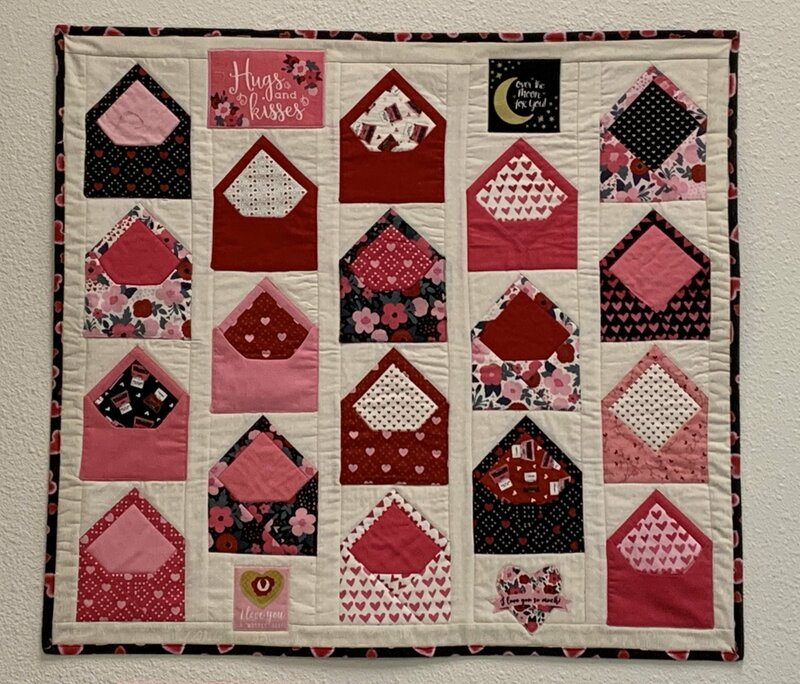 This envelope quilt lends itself to customization: add pickets to hold a note or keepsake, choose the size and arrangement of blocks, so your quilt will be one of a kind.